Police allege he manipulated the company’s computer system to inflate its assets. Japanese police on Saturday arrested Mark Karpelès, the head of collapsed bitcoin exchange Mt. 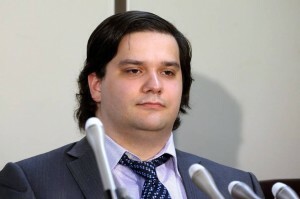 Gox, alleging that he manipulated the company’s computer system to increase the balance in an account. Tokyo-based Mt. Gox was once the world’s largest exchange platform for the virtual currency by trading volume. In February 2014, it filed for bankruptcy, saying it had lost 750,000 of its customers’ bitcoins as well as 100,000 of its own, worth some $500 million at the time. It later said it discovered 200,000 bitcoins. Japanese media aired footage of Mr. Karpelès being led by police officers from his apartment before 7 a.m. Saturday. A police spokesman said Mr. Karpelès is suspected of manipulating his own account at the company by making it appear that $1 million was added to it. The connection between that allegation and the missing bitcoins wasn’t clear. Another official said some of the bitcoins Mr. Karpelès described as lost may not have existed. Mr. Karpelès wasn’t immediately available for comment on Saturday. On Friday, following a Nikkei report that he was going to be arrested, he said in instant messages to The Wall Street Journal that the allegations were “false” and he would “of course deny” them. His attorney didn’t answer calls seeking comment.